Jessica Jaramillo is a solutions-focused collaborator helping attorneys grow their practice. As the Marketing Director at Ireland Stapleton Pryor & Pascoe, PC in the Denver office, she is responsible for raising the firm’s profile in the business community and developing and executing the firm’s strategic marketing plan. Jessica works with the firm’s attorneys and practice groups to create and implement client-focused business development initiatives. She has successfully spearheaded programs to improve marketing and business development infrastructure and increase accountability, bringing synergy and alignment to practice management. Prior to joining Ireland Stapleton Pryor & Pascoe, PC, Jessica worked for the legal marketing firm Alyn-Weiss & Associates, overseeing marketing and business development programs for small to mid-size law firms in the United States. Jessica is the former President of the Legal Marketing Association’s Southwest Region and currently serves on the board of directors. Why it’s important to create “champions” who can speak to the quality of your work and the value of your position as a marketer. Why listening to your team members and understanding what is needed in a project to reach your goals is the number one key to success. 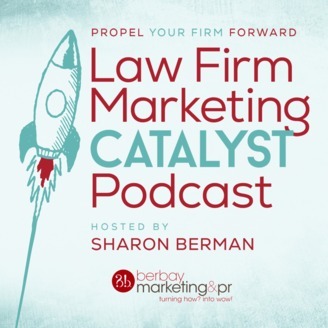 Why legal marketers need to learn to say “no” and manage expectations. 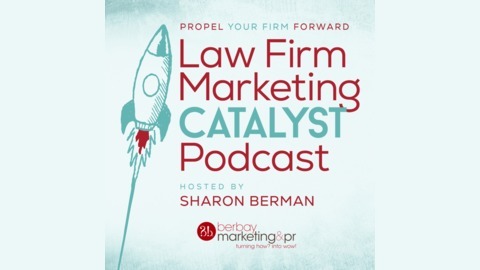 What questions to ask when evaluating a potential new position in law firm marketing. Best practices for implementing client relationship management (CRM) software to track referrals.